It's been a busy few days in Istanbul since I arrived on Wednesday afternoon. I haven't been doing anything particularly touristic, at least with respect to sightseeing. Basically, I've been seeing my friends, people I've known, in some instances, for over twenty years. Others are folks I've met along the way during the course of all the trips I've taken back to Turkey since returning to live in the US in 1999--I think I've come to Turkey every year since then. Some people, meanwhile, are new friends, as it seems like every time I come here I meet someone new that I end up keeping in touch with. Almost all of my friends--and particularly the ones I've been hanging out with this week--despise the Prime Minister, Tayyip Erdogan. Like many other people in Turkey and elsewhere, they're appalled by Erdogan's reaction to the Soma mining disaster. Even worse has been the police reaction to the protests that have sprung up in response to the tragedy. 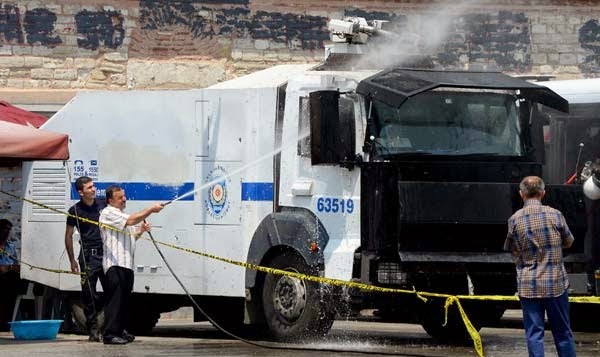 As was the case last year during the Gezi Park protests, police--now often outnumbering protesters, at least in Istanbul--using tear gas and rubber bullets and water cannons (known in Turkey as TOMA) to break up peaceful demonstrations. Disgust with the government's response to the protests crystallized with the case of Yusuf Yerkel, an 'aide' (who seems like more of a security-type person/thug) to Prime Minister Erdogan who was photographed kicking a protester who was already pinned to the ground by police. The incident took place in, of all places, the site of the tragedy itself: in Soma, during the course of Erdogan's visit to the embattled town in western Anatolia. Anyway, I need to get a move on right now, but I'll likely be getting back to this subject later. I've also got a bunch of photos from Istanbul that I'd like to post sooner or later, so hopefully they'll be too before too much longer. More links, commentary and other stuff can be found at the Borderlands Lounge. Like the Borderlands? You'll love the book! You can order your copy now at the OUP website. I am an historian of the Turkic World, with over 25 years of experience living in and writing about Turkey and the former USSR. My first impressions of the region came when I was working as an English teacher in Istanbul from 1992-1999. 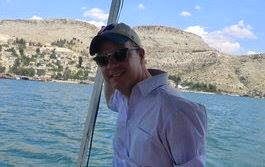 During these years I traveled extensively in the Balkans, Turkey, the former USSR, the Middle East and Asia, and studied Russian and Hungarian in addition to Turkish before returning to the US to pursue a graduate education. After receiving an MA from Princeton and a PhD from Brown, I held research fellowships with the NEH/American Research Institute in Turkey, the Harriman Institute at Columbia University, and the Woodrow Wilson Center in Washington, DC. Since August of 2009 I have been a professor of Islamic World History at Montana State University in the cool little ski town of Bozeman, MT, holding the rank of associate professor since 2015. 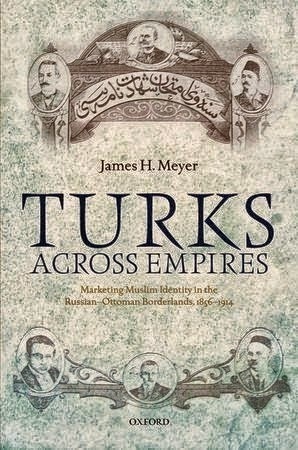 My first book, Turks Across Empires: Marketing Muslim Identity in the Russian-Ottoman Borderlands, was published by Oxford University Press in November of 2014. I spent the 2016-2017 academic year in Russia through the support of a Fulbright research scholar grant. Now I am back at MSU, where I typically teach two classes per semester on topics relating to the Balkans, Middle East, and former Soviet space. "Nazım Hikmet and the First Generation of Turkish Students at Moscow's Communist University of the East." Journal of the Ottoman and Turkish Studies Association, Vol. 5, No. 2 (Fall 2018), 195-218. Turks Across Empires on the Ottoman History Podcast. On the Upcoming Turkish Elections..
Crimea on the Brink: What's Going On? RFE Broadcasting in Russian, Tatar, etc. Copyright James H. Meyer 2008-2019. Powered by Blogger.